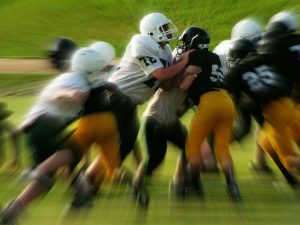 Monmouth County Concussion Neglect Attorney | Tomes & Hanratty P.C. Concussions are brain injuries that occur from something hitting your head or body, causing your head and brain to move back and forth rapidly. This could be from anything – the ground when someone falls, a ball hitting him or her in the head, or even a car accident. All concussions are serious. No matter how hard you get hit or fall, all concussions should be treated the same. Additionally, concussions can occur even when you are conscious. But most importantly, taking an initial action and proper management can prevent a concussion from getting worse. If not, it could even lead to death. If you or a loved one suffers from a concussion and you believe that the negligence of someone is the cause of it or the reason it is getting worse, contact Tomes & Hanratty, P.C. The symptoms of the thinking category include forgetfulness, difficulty concentrating, and remembering new information. The physical symptoms of a concussion constitute headaches/blurry vision, nausea, balance, sensitive to noise/light, and feeling wary. Emotional and sleep symptoms consist of nervousness, anxiety, irritability, and loss of sleep. The concussion test will ask you questions that will make you use your memory and concentration. If you do considerably worse than you previously did before the season, you most likely have a concussion and must seek medical help. However, in lower-level sports, such as youth sports, concussion testing may not be available, so the best thing to do is seek medical attention immediately. What should I do if I get a concussion? Although there are many ways to prevent and treat concussions, they cannot be fully healed. However, there are many methods of treatment to make the pain less and to let you keep doing the things you enjoy. For minor concussions, treatment is rest, medical care and observation, and a break from sports for a little while. For a major concussion, the treatment is just as rigorous. A major concussion (such as loss of consciousness or severe headaches) would mean you need to go to the emergency room or the need for a medical professional on the scene as soon as possible. They will most likely give you a CT or MRI scan and after one to two days will send you back home, checking up on you to see if any other symptoms arise or worsen. Unconsciousness that lasts for only a few seconds leads to one week of no sports or difficult activity, and a minute or more means at least two weeks. What happens if my concussion is not treated properly? If a concussion is not treated properly, the individual may develop a common dysfunction called Post-Concussion Syndrome. Post-Concussion Syndrome (PCS) is a problem that lingers after a concussion is not treated properly. It lasts for weeks up to months and has the same symptoms of a concussion. You can treat this issue the same way as a concussion, by minimizing stress and using pain medications based on what your health care provider prescribes. This is a condition that is easily avoidable if you properly treat a concussion. Coaches, we fully understand how important it is to have your kids playing and not missing the playoffs or the big rivalry game, however, it is your job to make sure the athlete is as healthy as possible. If the athlete is ready to play and cleared by certified doctors, this does not mean you play them for the entire game the first day he or she is cleared. Ease the concussed athlete into action by having he or she do light drills and not rigorous, 100% practice drills right off the bat. Make sure you minimize the game time for the athlete and increase his or her minutes gradually as the weeks progress. It would be a huge mistake to push him or her back into the game to receive a second concussion! Ultimately, your athlete will be fine, back to game shape, and ready to help your team win games, but healing is a long process you do not want to interrupt. If you or a loved one sustained a head injury during a sport and would like more information about concussion or if you want to discuss whether you are entitled to compensation for an injury contact Tomes & Hanratty, P.C.